Celebration 2019! Coming Soon! But…? 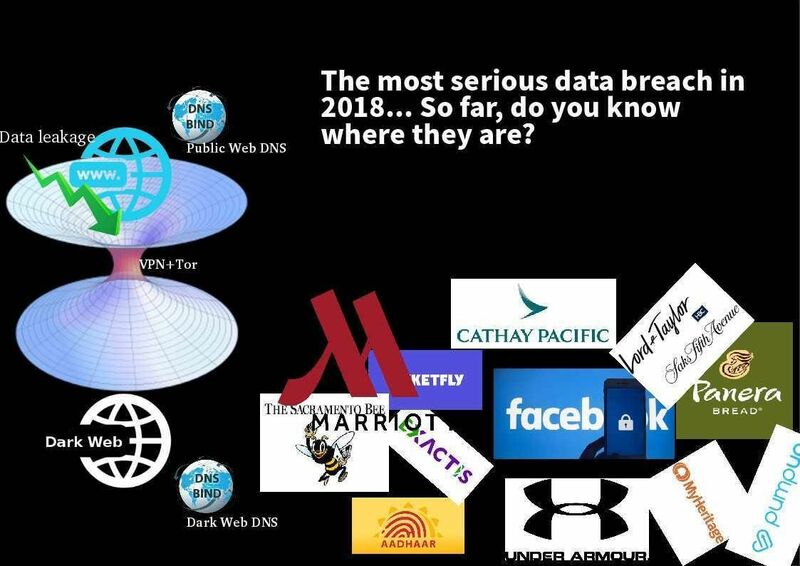 The most serious data breach in 2018… So far, do you know where they are? Preface: The internet contains at least 4.5 billion websites that have been indexed by search engines. But may be more data not shown there? What is dark web? It is the part of the World Wide Web that is only accessible by means of special software, allowing users and website operators to remain anonymous or untraceable.The dark web is a huge marketplace for stolen data and personal information. So far, social media companies have often experienced data breaches. However, the healthcare industry is the priority attack target. if company management not intend to pay for ransom. they will sell the data in dark market. 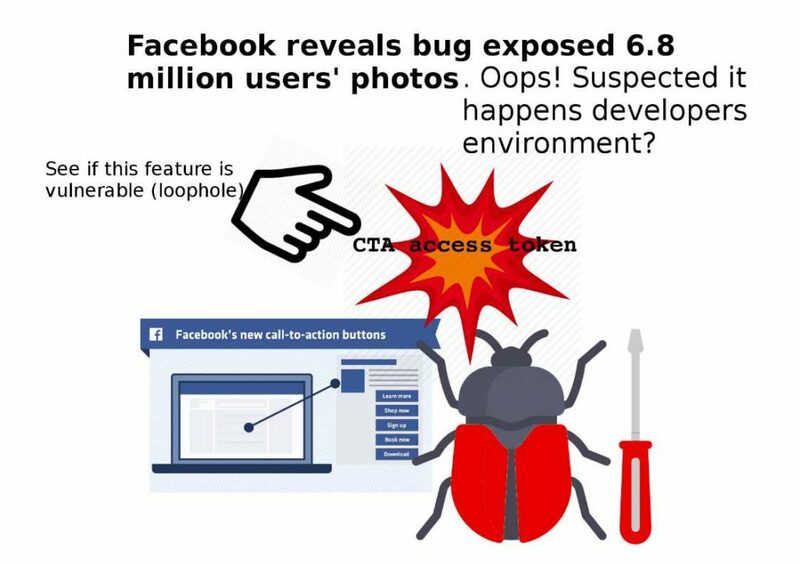 Facebook 6.8 million users’ private photos leaked – Suspected it was happened in developers environment. Facebook looks bad luck this year. It is better to invite Chinese Feng Shui master provides suggestion. Yes, it is kidding. Perhaps Facebook intend to improve their image. It immediately let’s public know what is happening in the moment. It is talking about 6.8 million users’ private photos leakage. 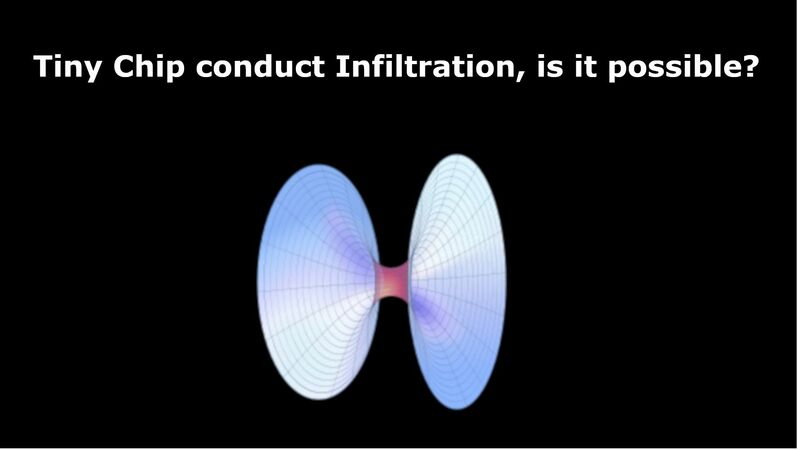 But suspected that the loophole was happened in developers environment. My comment is that may be vulnerability happens in call to action function. A design limitation keep the CTA access token. And therefore it provides unauthorize access. About recent data breaches – Every CEO might say cyber security. Data leakage accident as of December 2018. It provides a message to the world. Even though you installed antivirus, malware detector and Firewall. The hacker still have ways to evade. In a nutshell, technology world is fighting with evils. But it make the senior management team especially CEO headache. So who can help? A majority of 53% confirmed insider attacks against their organization in the previous 12 months (typically less than five attacks). Twenty-seven percent of organizations say insider attacks have become more frequent. Mr.CEO, what do you think? Transunion offers total credit protection all in one place from credit score, credit report and credit alert. On June 25, 2015, TransUnion became a publicly traded company for the first time, trading under the symbol TRU. CreditGo provides free access to credit circular reports and credit scores for Hong Kong residents. Meanwhile the credit information provided by CreditGo comes from TransUnion. The Hong Kong arm of American consumer credit reporting agency TransUnion was forced to suspend its online services on Thursday after a local newspaper was easily able to access the personal data of the city’s leader and finance minister. Incorrect program logic from online web application cause database leak. 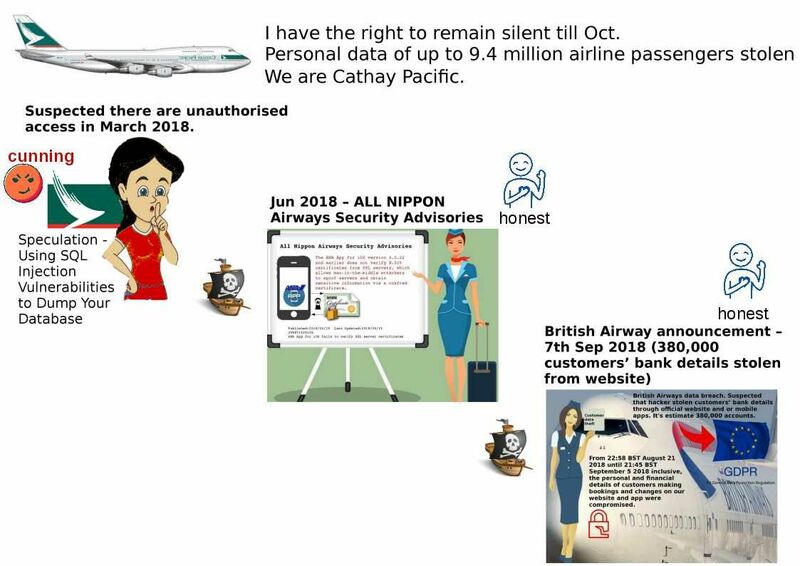 Refer to attached diagram, it is hard to avoid your data personal privacy leakage since when bank or financial institute check the information of a person. It is because a duplicate copy will be generate. Business world and our daily life is insane now! A reverse proxy is not totally transparent to the application on the backend. When the application on the backend returns content including self-referential URLs using its own backend address and port, the client will usually not be able to use these URLs. Deploy Apache Tomcat Connector (mod_jk) can easy to solve these technical problem. It supports the load balancing of HTTP calls to a set of Servlet containers, while maintaining sticky sessions and communicating over AJP. 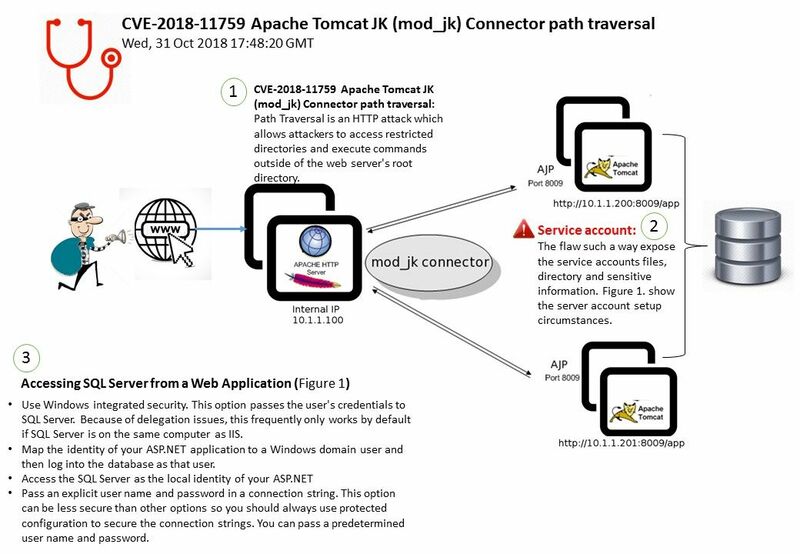 Regarding to vulnerability detail of CVE-2018-11759, it shown that Apache Tomcat JK (mod_jk) Connector design flaw contains path traversal vulnerability. My speculation is that such vulnerability will be effected SME firm web application server. If the vulnerability occurs, it provides a way let’s attacker trace the target destination especially the location services account file. Could ring 2 have the same momentum as a IoT backdoor? SMM is triggered through a System Management Interrupt (SMI), a signal sent from the chipset to the CPU. During platform initialization, the firmware configures the chipset to cause a System Management Interrupt for various events that the firmware developer would like the firmware to be made aware of. Whether you remember the Intel chipsets for some years have included a Management Engine? If we are not talking about conspiracy, it looks that backdoor appear in the chipset not a rumour. It is a true statement. Why Ring 2 isn’t used? 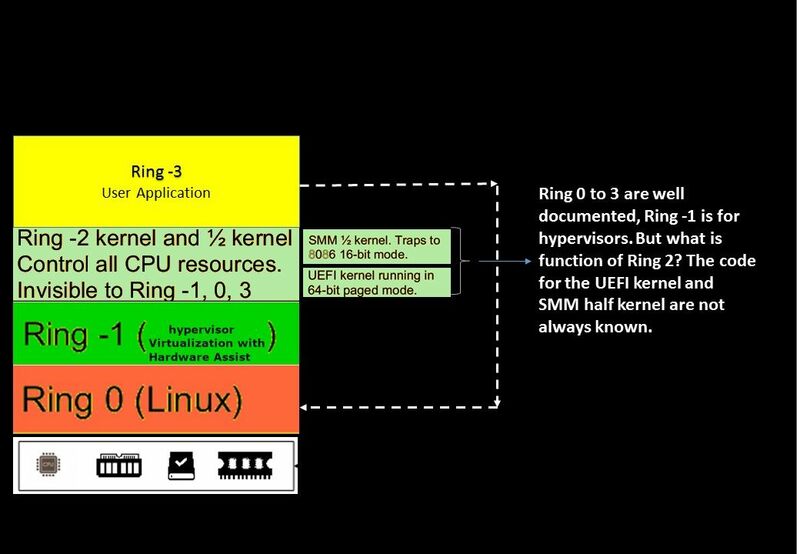 Rings 1 and 2 is for the OS to put device drivers at that level, so they are privileged, but somewhat separated from the rest of the kernel code. We strongly believe that the person who familiar of code for the UEFI kernel and SMM half kernel is the CPU manufacturer. Both components are run on Ring 2. Above mentioned Intel design flaw run in Ring -2 OS (UEFI). UEFI can run in 32-bit or 64-bit mode and has more addressable address space than BIOS, which means your boot process is faster. Unified Extensible Firmware Interface (UEFI) is a specification for a software program that connects a computer’s firmware to its operating system (OS). UEFI is expected to eventually replace BIOS. Like BIOS, UEFI is installed at the time of manufacturing and is the first program that runs when a computer is turned on. Dual boot computer with Windows and Linux conducted by UEFI firmware. But UEFI firmware has become a target for hackers. Refer to above diagram, we notice that the condition of Ring 2 will be depends on operation mode. 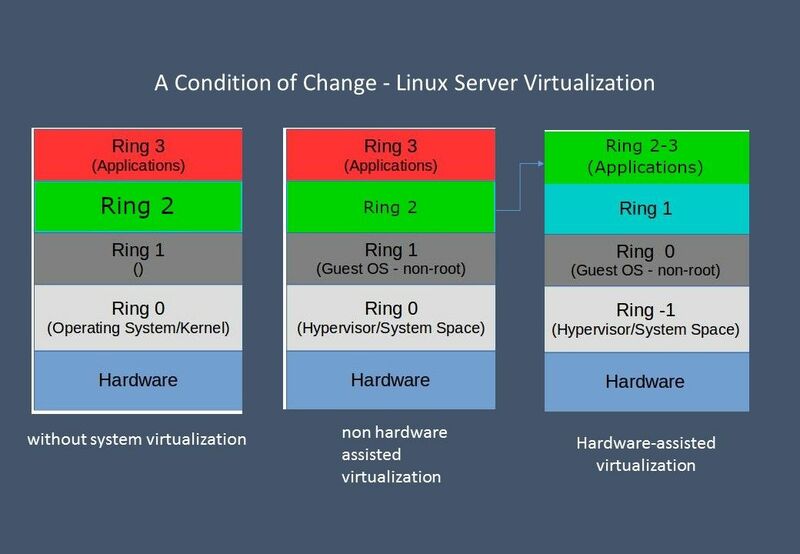 So, if virtualization assist by hardware will let Ring 2 and Ring 3 work together. 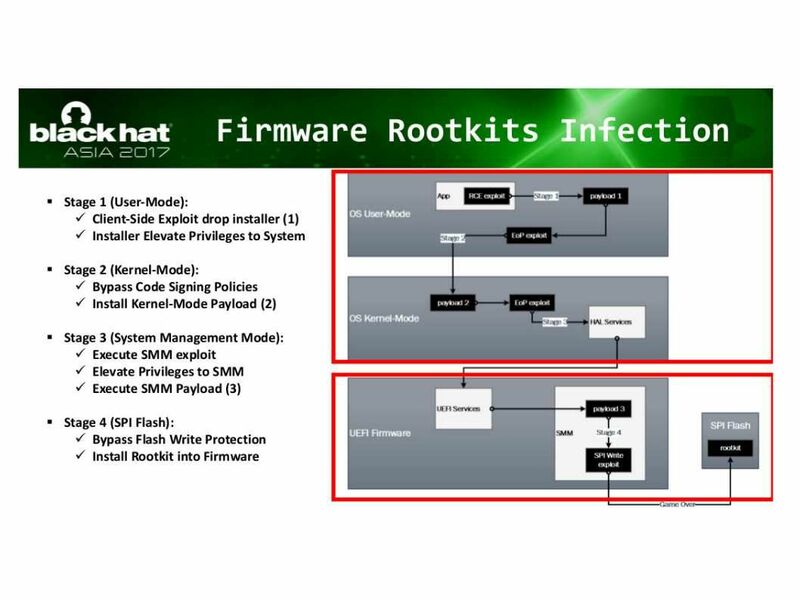 As a result, an attacker with write access to flash can inject malware into the firmware. Remark: Malware injected into the firmware flash regions is persistent and will run on every subsequent boot. 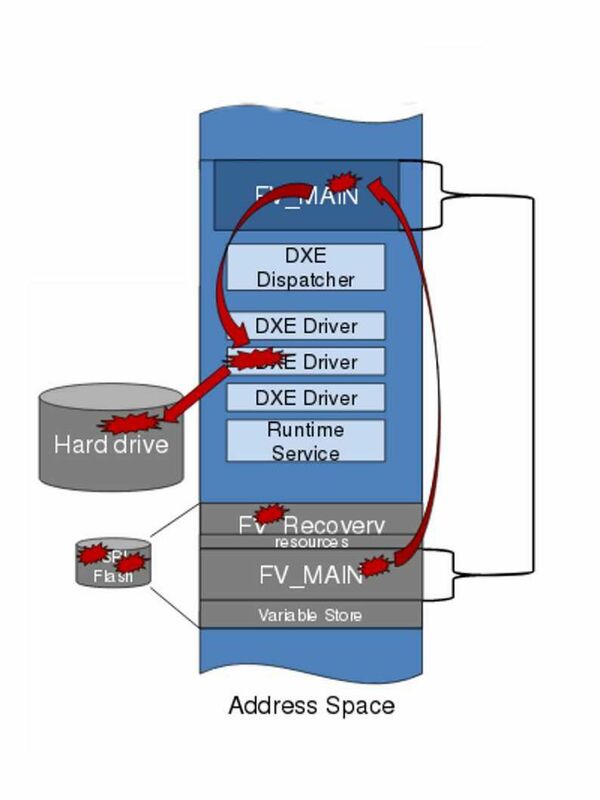 SPI Flash Exploit – Malicious DXE drivers can disable security settings and install malicious code into the OS. Refer to above information. When a computer was installed and switched on, the microchip altered the operating system’s core so it could accept modifications. The chip could also contact computers controlled by the attackers in search of further instructions and code. US Homeland security urge banking industry especially payment gateway services provider staying alert of new round of malicious cyber attack of their system. 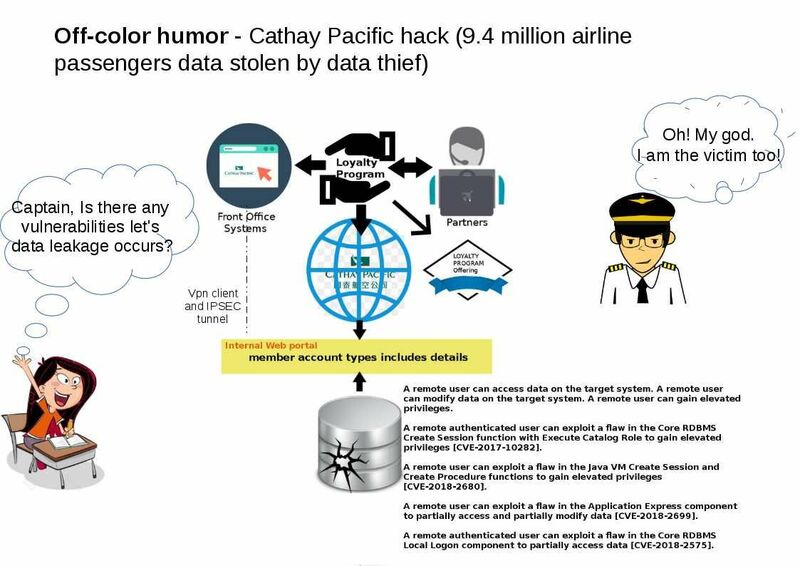 Similar of cyber attack was happened in Taiwan. The heist draw the cash equal to $2.6m (£2.1m). 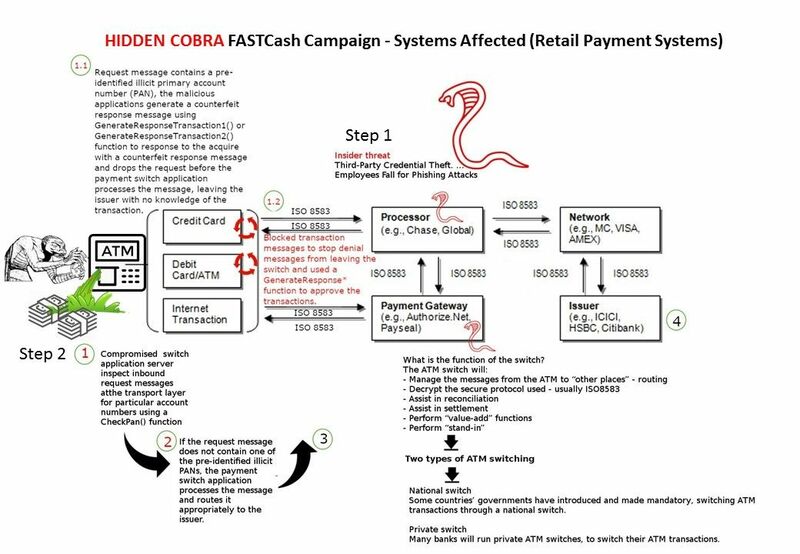 Homeland security reveal how the technique let ATM machine like human vomiting. But this is the bank note. You and me like it. In 80’s our daily life without any electronic type social media involves. But we understood that we are avoid to talk to the stranger. As time goes by, internet social media fine tune our mind. As a result we make friend and relies on this communication platform. Since this is a popular open platform. It is hard to avoid scam activities. As a result, the risk factor will growth in such circumstances. Even though you have security awareness . But who can garantee the threat actor only focus to attack the indiviual instead of the social media vendor. Back in October 2016, the memcached developers fixed three remote code execution vulnerabilities (CVE-2016-8704, CVE-2016-8705 and CVE-2016-8706). 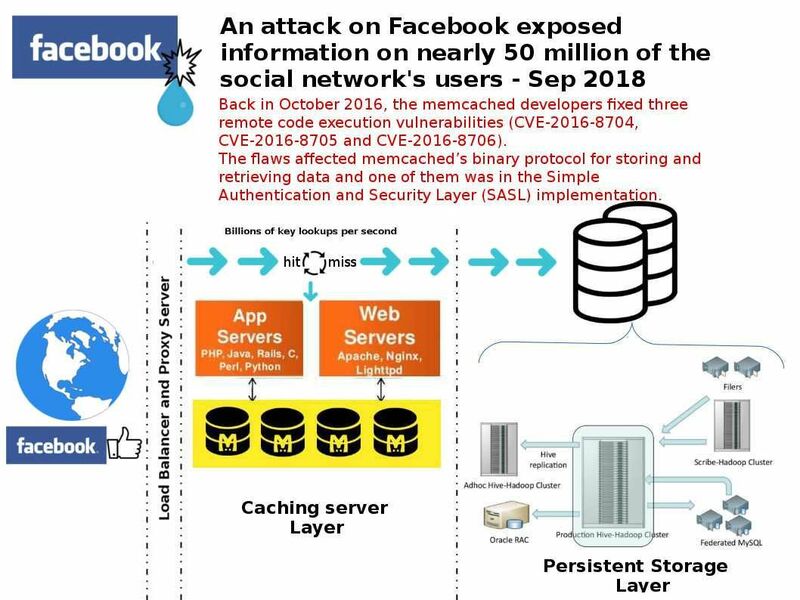 The flaws affected memcached’s binary protocol for storing and retrieving data and one of them was in the Simple Authentication and Security Layer (SASL) implementation. Remark: CVE-2016-8704 – An integer overflow in the process_bin_append_prepend function in Memcached, which is responsible for processing multiple commands of Memcached binary protocol, can be abused to cause heap overflow and lead to remote code execution. Do you think the data breaches announced by Facebook yesterday whether it happen earlier last year but nobody know?